Description: You've heard the buzz: whole grains are ultra-healthy energy foods that should be on your table. Now, with Canadian Living's recipes and expert cooking advice, incorporating these superfoods into your everyday menus is easy and utterly delicious. Not sure exactly what qualifies as a whole grain? No problem. 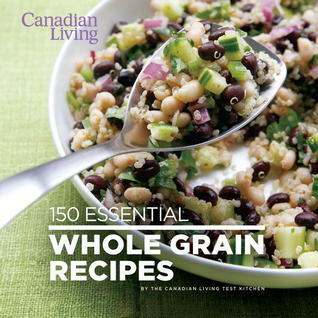 Canadian Living: 150 Essential Whole Grain Recipes clears up the mystery and offers nourishing recipes that make the most of these nutritional powerhouses. Salads, soups, side dishes, main dishes, breads and snacks are all represented. Tucked into each chapter, helpful sidebars profile specific grains: what they are, how to store and prepare them, and the benefits of including them in your diet. Complete nutrient analysis on each recipe and dietitian-approved tips help you plan meals and rest assured that you're getting the nutrition you need -- deliciously. The Canadian Living Test Kitchen creates and tests thousands of Indian recipes every year to ensure that they turn out as perfectly in your home.